Took the opportunity to go to the opening night of the new Disney film The Chronicles of Narnia - The Lion the Witch and the Wardrobe. We have been looking forward to it coming out so we booked up tickets for one of the first showings in our local cinema. I wondered if the film would do justice to the incredible book by the same name written by the incredible C.S. Lewis. I was not disappointed. I was sucked into Disney's new interpretation of this classic story from the start. Once Aslan entered the frame all the allegorical links with the story of Jesus came flooding to mind. 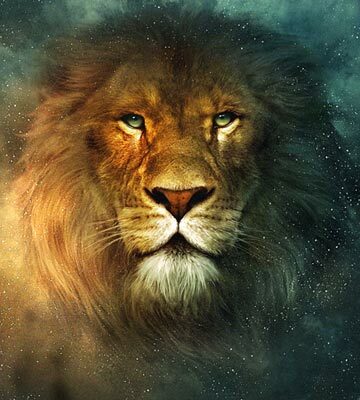 Aslan was to give his life in exchange for the treacherous Edmund. What struck me most was that Aslan the strong ferocious Lion walked into the den of the Evil White Witch and volunteered his life. This powerful Lion could have fought back and possible won but he chose to lay his life down so that another undeserved person could go free. The motivation? Summed up by the White Witch when she whispered to Aslan as she killed him "So much for love.". That is the driving force behind the actions of Jesus. For love he gave up the splendor of Heaven. For love he gave His life in my place even when I did not deserve it.